YUMMIE! Soylent Corporation does amazing things with people plankton! Still catching up, this should have been posted a day or two ago. Click back through to see this week’s string of shirt pics posted today. The secret is out! Now your family can enjoy Soylent Green more than ever. 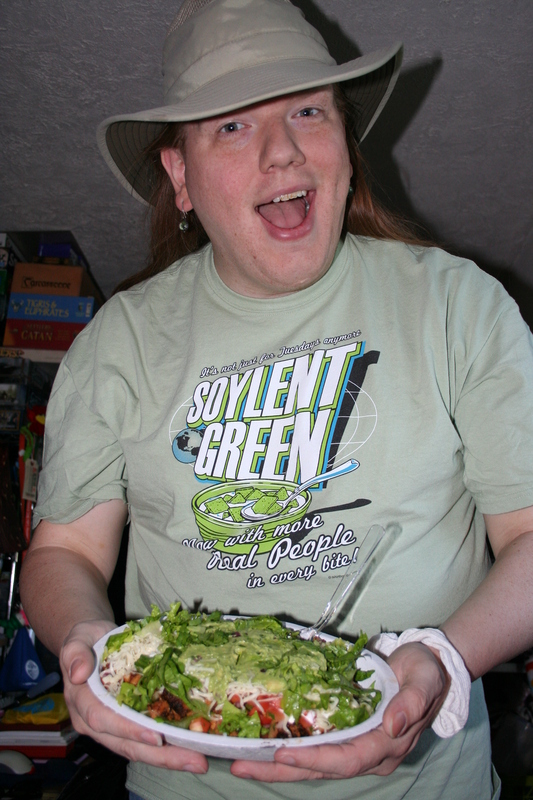 The Soylent Green you loved as a kid is back with more people in every bite! We have a soft spot in our hearts fFor old, bad movies. You can happily watch the entire movie, Soylent Green, on Google Video. The movie was loosely based on a book by Harry Harrison, who also wrote about that rakish detective, The Stainless Steel Rat. The book was set in 1999. The movie extended the timeline, set in 2022. So we’ve got a while before we have to worry about the seas dying, right?